On May 17 & 18th, 2013, at 7:30pm, the Thiossane West African Dance Institute will once again present its annual concert ”Collective Work & Responsibility” to be held at the Lincoln Theater. Twenty two company members will perform in an enthralling exhibition of West African dance, music and culture, certain to entertain the entire family. 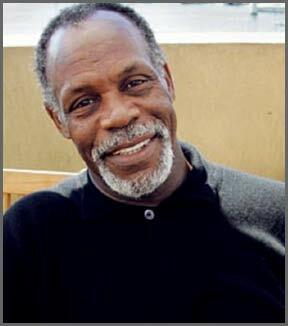 In honor of Danny Glover’s humanitarian work in Africa, the Thiossane West African Dance Institute also performed at the CSCC Diversity Initiative “Voices of Change” MLK celebration January 15, 2013. On November 16 & 17, the Lincoln Theatre will present a collection of “dance art” as it relates to social and cultural influences through the annual fall showcase that is held by the Thiossane West African Dance Institute. Under the skilled guidance of its Creative Director, Suzan Bradford Kounta, the fall showcase will adhere to the mission of the Institute by showcasing the signifance of this art form through a family friendly performance of the community outreach programs for children and adults Saturday, November 17 at 3:00 pm. ART…SOCIAL Advocacy… CULTURAL Influences will encourage awareness, appreciation and dialogue in an interactive presentation that will also include new work of choreography by ONYX Dance Columbus. ONYX is an emerging, local dance company under the direction of Gamal Brown. Local thespians Sufiy James and Troy A. Harris will join the collaboration in their performance during the evening shows on November 16 & 17 at 7:30 pm. The Institute has served the Columbus community in detailed African dance instruction and authentic presentations since 2000. Bradford has also quietly and effectively nurtured the presence of this art form in this city. Matinee: November 17 at 3:00 pm – Children $7, Adults $10. Evening Performances: HS & College Students with ID/Seniors $10 Adults $15. Tickets available at CAPA Box Office, at the door and Ticketmaster. Click here to contact The Institute or call 614-252-7077 for details.